YOUR VOTE MATTERS — VOTE FOR CHANGE!!!! I recently watched a video of the October HOA meeting which literally stunned me. The proceedings during the “meet the candidates” portion of the meeting were dismaying to say the least. What I saw was a line-up which included an incumbent who has a criminal history seeking the opportunity to be elected after being appointed to his position, an incumbent who told the audience that her children were the reason she was running again because they wanted a new clubhouse (by the way, who pays the bills in your home—your children? Is it common practice for the children in the neighborhood to determine what the adult property owners who pay the maintenance fees do with those funds?) This same incumbent spent time chiding the audience with statements somewhere along the lines of if you happen to be one of the property owners who might have a dissenting opinion with the incumbent board you are “haters”. Seriously? Is this what our neighborhood has come to? Timberwood has so many Face Book pages you can never figure out what an “official” page is much less an accurate, factual take on any issue. In fact, one of those supposedly “official” neighborhood Face Book pages posts one sided opinion pieces not backed up with factual detail but merely a “believe me and I’ll tell you why you should not believe anyone else commentary” ……and then closes any comments or communication by the neighborhood it supposedly represents. Timberwood has multiple Next-Door pages for commentary which redundantly represent position after position and if you don’t like one you join it is acceptable to trash those whose opinions you disagree with, and then create your own subpage where only like-minded individuals are offered the opportunity to participate. Really? Is this what you want in your neighborhood? Is this free speech much less good conversation about topics and issues of concern to all property owners? Shouldn’t all opinions be considered, shouldn’t all positions be heard, and shouldn’t those elected to represent the majority be listening and responding to questions and concerns of those they serve? Shouldn’t those who run for office be available to discuss the issues, answer uncomfortable questions and concerns and allow for discussion even if they don’t agree with it? Change is a good thing. Those that have served for numerous years without succession tend to become jaded and lose track of the real reason for serving…service to the entire community. Look at the candidates. Give new faces a chance to serve the community and hopefully bring new ideas and opportunities to the property owners. Does anyone remember when term limits were actually a part of our by-laws? Read more from a 2010 HOA newsletter here. This board is currently actively being sued by property owners, a second legal action is under way and a previously filed lawsuit against this board is being appealed. This should be cause for property owners to wonder why this is occurring. I am further hearing there is a fourth action being considered by yet another property owner in the neighborhood. This ultimately effects all property owners….we will be paying the settlements which occur as a result of these actions. Is that how you want your money spent? Today I heard several times that some property owners have received 2 ballots, some have received 3 ballots, and some have yet to receive any. All with more than one ballot have different account numbers on them so how would you know whether or not a vote was counted twice or more? Seriously? Is this how the business of Timberwood should be undertaken? How can you possibly believe that the electoral process is fair, unbiased and accurate with all these errors occurring? Shouldn’t there be oversight other than the incumbents and Spectrum managing this process? 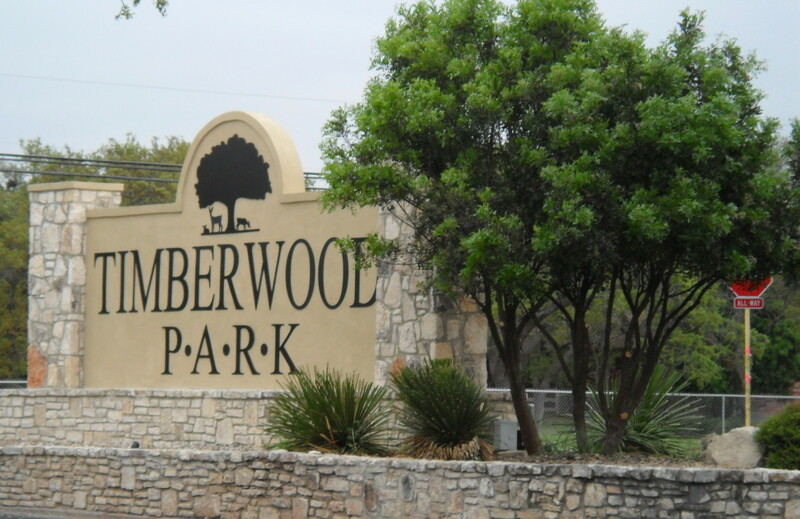 Final footnote: Remember this blog has made every effort to provide factual backup data and support for all the issues brought forward for your consideration this year regarding management operations of the business of Timberwood Park. It has always been the desire of this author to provide detail and fact to allow you, the property owner, the opportunity to decide for yourself. The posts made here have been factually supported and are by no means the voice of a “hater”. In fact, they are the voice of a property owner who has spent considerable time as a volunteer for this neighborhood and has provided open communication to all who are interested in communicating rather than shutting down dissenting opinions. Please take the time to get involved in the voting process this year for board members.